Eurozone finance ministers have delayed a decision on the next installment of bailout cash for Greece. 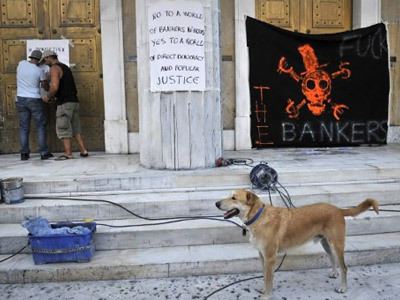 However, EU chiefs say Greece will not be allowed to default on its debts. Luxembourg’s prime minister, Jean-Claude Juncker, said on Tuesday that no EU members are pushing to allow Greece to default, and that there has been no suggestion that Greece should leave the Eurozone, the Associated Press reported. "We had no-one advocating a default for Greece," he said after a meeting of Eurozone finance ministers. "Everything will be done to avoid that, and it will be avoided." During the meeting, the ministers failed to reach a decision on whether Greece would get another rescue package, but worked out a deal on a Finnish demand for collateral for its part of a bailout loan to the stricken country. Athens says the next tranche of 8 billion euros needs to be released by mid-November or the country will run out of money. Finance Minister Evangelos Venizelos made the appeal on Tuesday after returning from a Eurozone finance ministers' meeting. 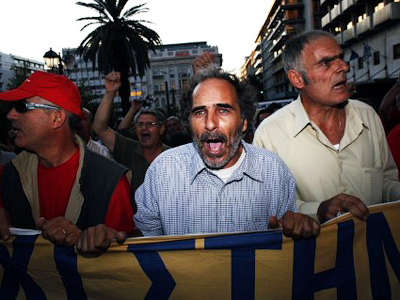 Greece had previously said it would start running out of money in mid-October if it did not get the bailout loan. At the same time, Greek officials admitted that the country will not meet this year's deficit-cutting target. 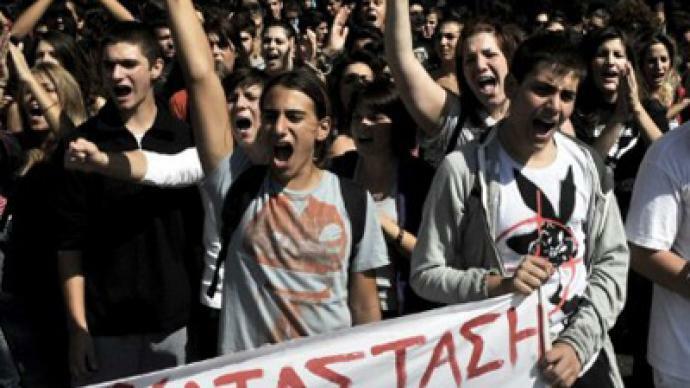 Meanwhile, the Greek government has approved a measure to put 30,000 civil servers on reserve, which will mean a reduction in their salary for a year and the possibility of dismissal at the end of that period. Many people in Greece have lost their jobs and are struggling to pay taxes, and yet the government still seems to be set on a tax-based solution to plug that big deficit in the budget. At this stage, it would be surprising for Greece not to get the next tranche as it would have an almost immediate knock-on effect on the rest of the Eurozone and the global economy as well. Economist Joseph Gagnon believes the EU’s financial problems stem from a lack of central fiscal authority. “The problems go back many years, because countries throughout the Eurozone had large amounts of deficits that they were not supposed to be able to run under the Monetary Union, but they were allowed to run, and of course that has come back to bite them now,” he said. Gagnon argues that the Europeans have from the very beginning resisted moving to a central fiscal authority governing common taxing and spending decisions, and they have done just enough to get by with their debts. ­Patrick Minford, an economics professor at Cardiff Business School, told RT there will be a default in Greece, and the sooner it happens, the better for everybody. 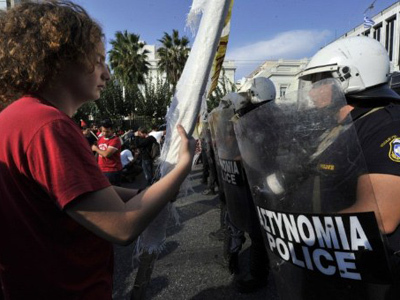 He also stated economists and politicians are raising fears of contagion, saying the Greek troubles could spread. But eurozone leaders are delaying the next bailout instalment because a lot of countries have not yet ratified the fund that is going to pay the bills for the debts. “They would be better off trying to come to a decision on Greek default, but they don’t want to do this because they are frightened that if there is a formal default, this will create a domino effect and bring down Portugal and Ireland and get problematic for Spain and Italy,” he concluded.